Erik Sexton joined NAI Vegas in 2017 as a Senior Vice President and Industrial Specialist. He has more than 12 years experience in the leasing and sales of industrial and office spaces. 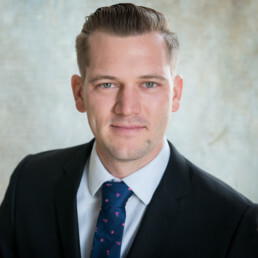 During his real estate career, Mr. Sexton has represented a diverse segment of local and national companies that include Wynn Las Vegas, SME Steel, Advanced Metal Works, High Impact Signs, Next Century Rebar, General Motors, Casino Royale, Paramount Pictures, Coca Cola, 99 Cent Only Stores, and The Venetian Resort. As a licensed agent, he has brokered more than 1.8 million square feet of commercial space totaling more than $179 million. Prior to joining NAI Vegas, Mr. Sexton was with Sperry Van Ness from 2012 to 2017 as an Executive Vice President specializing in industrial properties, and Brownstone Commercial Real Estate from 2004-2012. Prior to commencing his real estate career, Mr. Sexton interned for the development team of Sunrise Senior Living retirement homes in Munich and Frankfurt, Germany. Sunrise Senior Living subsequently grew to be one of the largest retirement home system in the world. Enjoys Rock climbing, motorcycles and snowboarding.